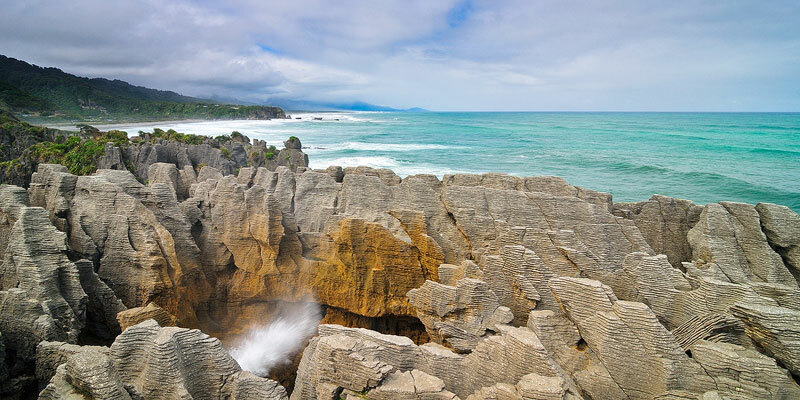 Pancake rocks blow hole at Punakaiki. | Punakaiki, New Zealand. The Blowholes at Punakaiki. The spray was not quite as high as I would have liked, but this shot is still pretty neat. The rocks in the foreground are know as the Pancake Rocks.